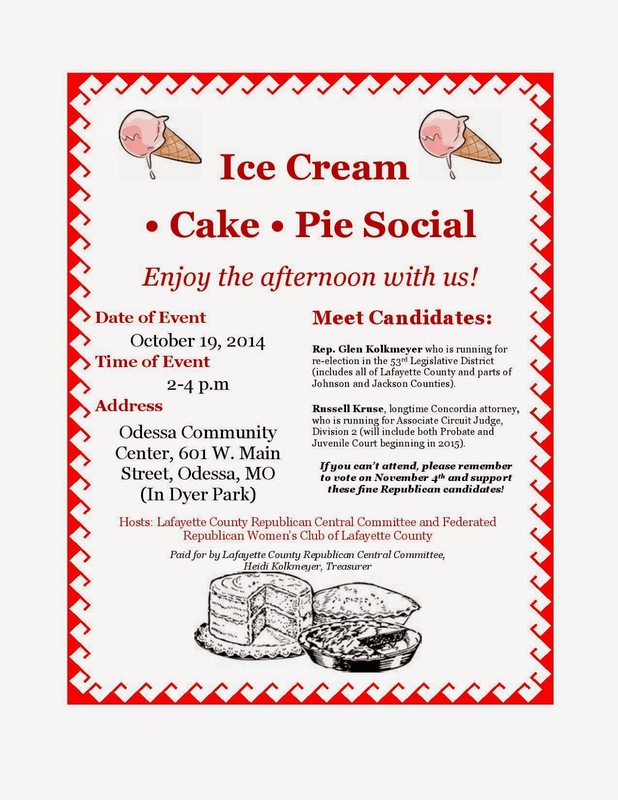 Join Lafayette County Republicans for an old-fashioned ice cream, cake and pie social at Odessa Community Center in Dyer Park on Sunday afternoon, Oct. 19th, from 2 to 4 p.m. Not a fundraiser. No charge for event. No charge for event. Not a fundraiser. Paid for by Lafayette County Republican Central Committee, Heidi Kolkmeyer, treasurer. Moderated by county media personnel. 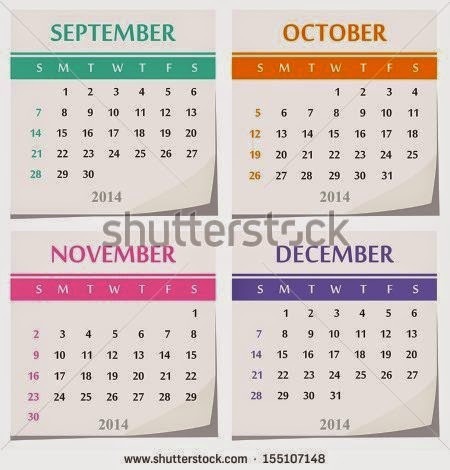 THURSDAY OCTOBER 16th --MARK YOUR CALENDARS! Professor Josh Hawley, a native Missourian who grew up in Lexington, MO. that he argued this summer and won before SCOTUS. SPECIAL PROGRAM: Professor Josh Hawley of the University of Missouri School of Law will speak on his experiences arguing the recent 'Hobby Lobby' case before the United States Supreme Court. Click here to read more about the case. Appetizers and Rustic Italian Wood-Fired Pizza and Soft Drinks. A native Missourian, Josh grew up in Lexington, Missouri. Josh went on to graduate from Rockhurst High School in Kansas City and then Stanford University and Yale Law School. After law school, Josh served as a judicial clerk for Chief Justice John Roberts at the U.S. Supreme Court. Josh met his wife, Erin, there and after several years practicing law in Washington, D.C., he and Erin moved home to Missouri. Josh’s work as an attorney focuses on the Constitution. In 2011, Josh helped litigate one of the most important religious liberty cases of the last two decades, Hosanna-Tabor v. EEOC. That case guarantees churches and other faith organizations the right to choose their ministers based on their faith, not government regulations. Josh was part of the team that defeated Obamacare's contraceptive mandate on business at the U.S. Supreme Court. Josh has litigated in most of the federal courts of appeals and numerous state courts. He and Erin live in Columbia, Missouri and have one son, Elijah, who is one year old. For more information: visit The Missouri Liberty Project. 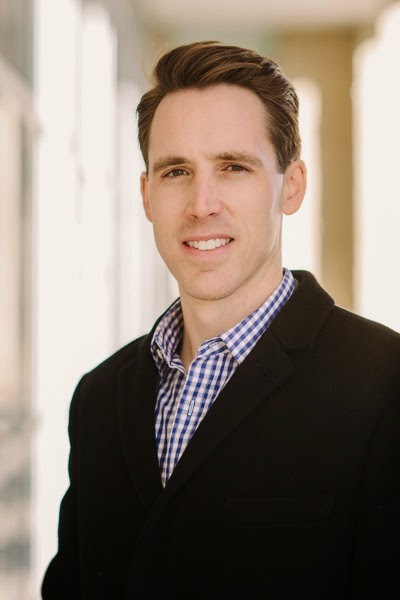 Josh Hawley is the founder and president of Missouri Liberty Project. Josh is a constitutional litigator, law professor, and religious liberty advocate. He has defended Hobby Lobby before the U.S. Supreme Court and is leading the fight in Missouri to defend the Constitution. 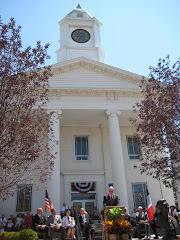 Enjoy a Sunday afternoon Ice Cream, Pie and Cake Social and visit with Rep. Glen Kolkmeyer (running for re-election in the 53rd Legislative District) and Russell Kruse (candidate for Associate Circuit Judge, Division 2 in Lafayette County. Location: The Odessa Community Center, 601 W. Main Street, Odessa, Mo., in Dyer Park. No charge for event. Not a fundraiser. Open to the public. NOTE: Candidates will be guests at other private coffees and gatherings not listed here, and other countywide events will be announced as they are scheduled.